The dB-3911 power-combined TWT Amplifier (TWTA) uses two wideband, periodic permanent magnet (PPM)-focused TWTs to amplify CW, AM, FM or pulse-modulated signals. Compared to a single TWT approach, the dB-3911 provides higher saturated output power and improved harmonic performance. 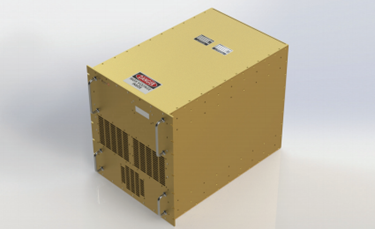 The dB-3911 provides superior reliability, as all high-voltage power supplies are designed and manufactured in-house. The power supply section of the dB-3911 employs a modular architecture and low-noise power supply topology using high-efficiency solid state power-conversion circuits. An embedded microcontroller provides the interface, control and protection functions, as well as extensive fault diagnostics and status indication.